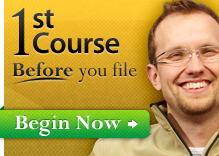 Bankruptcy Attorneys: BKClass.com is your best of breed portal for providing bankruptcy clients with superb customer service that’s affordable and fast. 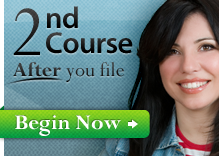 Find Out For Yourself Just How Good We Are – For FREE! If you ever have any questions or need more information, our Customer Service staff is available by email or by phone toll-​​free at 1–800-BK-CLASS (252‑5277) 24 hours a day 7 days a week, 365 days a year! You can always request additional free handouts by using this form and we’ll ship your order right away. 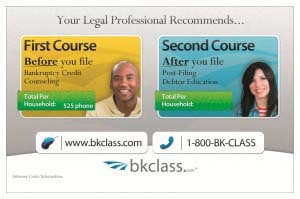 BKClass.com provides consumer access to affordable, efficient, and meaningful pre-​​filing bankruptcy credit counseling and post-​​filing debtor education services to satisfy the requirements of the Bankruptcy Abuse Prevention and Consumer Protection Act of 2005.